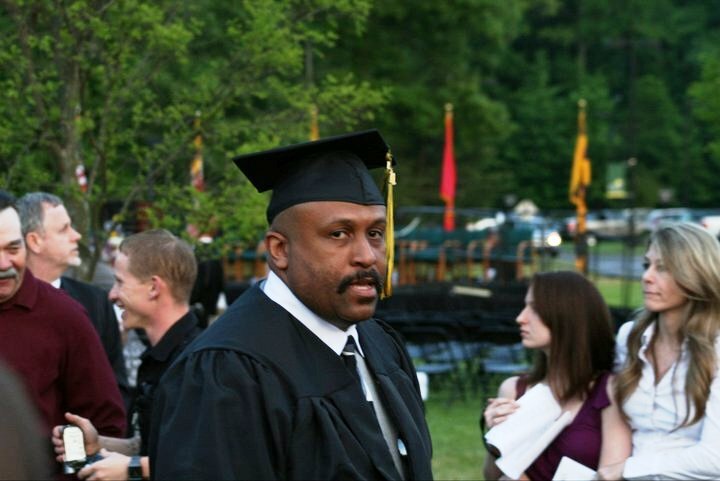 In 2008, Acting Fire Captain Maynard Thorn decided to pursue his goal of higher learning. 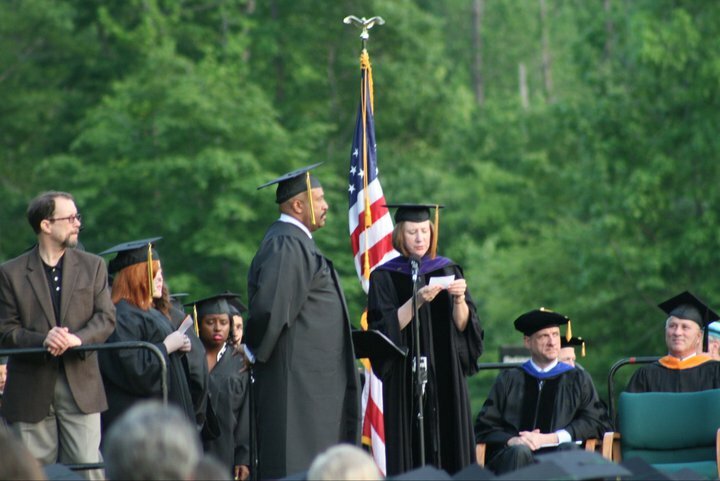 He enrolled in the College of Southern Maryland as a part-time student, and the journey began. Three years of attending classes, homework assignments, and preparing for tests proved to be no small feat for the husband and father of four. However, everything he had endured during those years was a mere blur when, on May 12, 2011, Acting Captain Maynard graduated with honors and an Associates of Applied Science Degree in Fire Science. 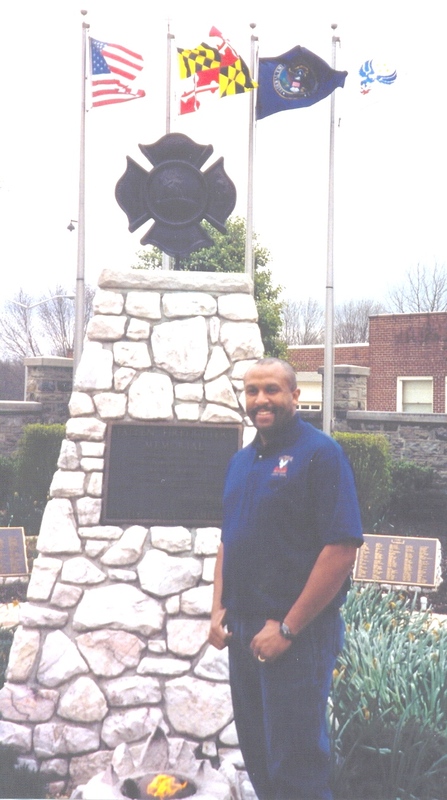 Acting Captain Thorn, a 19-year veteran of the Fire/EMS Department began his career in July 1992. He served at several fire stations throughout Prince George’s County, while progressing through the ranks. Currently, he is assigned to Upper Marlboro Station 820, where he serves as the station commander on day work. When asked about his career goals, Thorn stated, “I will successfully complete all skills and requirements to effectively fulfill my position as a Fire/Hazardous Materials officer; continue to educate and lead personnel to a level of success that the Department and our citizens can be proud to support; and achieve the rank of Fire Captain.” As for his educational aspirations, he is already enrolled in the University of Maryland University College, where he plans to pursue a Bachelor’s Degree. Acting Captain Thorn has completed many MFRI courses and maintains several certifications, including Course Design and Radiological Detection. He possesses a tenacious focus on upward mobility for himself, his family, and his crew. He believes hard work, commitment, and a willingness to help others are essential to achieving greater success. Thorn, a native Bostonian, resides in Waldorf with his wife and children. He attends Ebenezer AME Church, where he serves on the Medical Ministry. In his leisure time he enjoys cooking, listening to all genres of music, and spending time with his family and friends. Angela M. Peden, a 21 year veteran member of the Prince George's County Fire/EMS Department and Veteran of the United States Army was honored at a Veterans Appreciation Ceremony. The Second Annual Muster to honor Veterans was hosted by the Circuit Court. The event was held to honor the men and women of County government that are currently deployed and those that have served the Country as a member of the armed services at some point in their life. The event was held on the Lawn of the County Courthouse in Upper Marlboro on Monday, May 23, 2011. 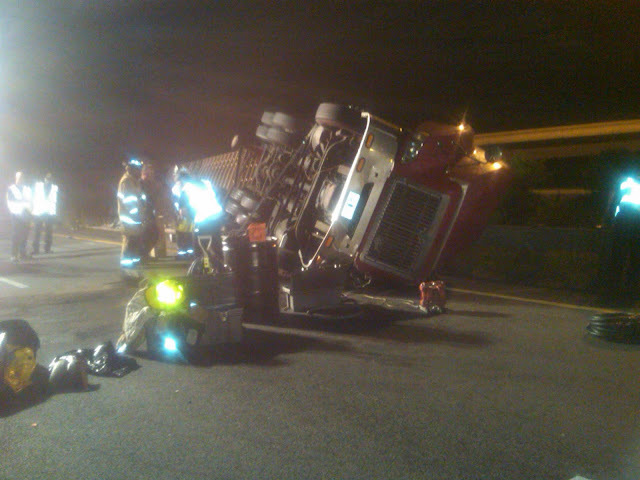 Around 1:30 am, Tuesday, May 24, 2011, Prince George’s County Fire/EMS and Hazardous Materials Team were alerted to an overturned tractor trailer. The truck was loaded with blueberries and rolled on to its side on the ramp from the outer loop of the Capital Beltway (Route 495/Route 95) to go on to NB Route 295 and also the National Harbor. There were no other vehicles involved in the incident. The fuel tanks for the tractor lost about 20-30 gallons of diesel fuel that spilled on to the road. The Fire/EMS Department’s Hazardous Materials Team contained the spilled product and also off-loaded the remaining 80 gallons remaining inside the fuel tanks. 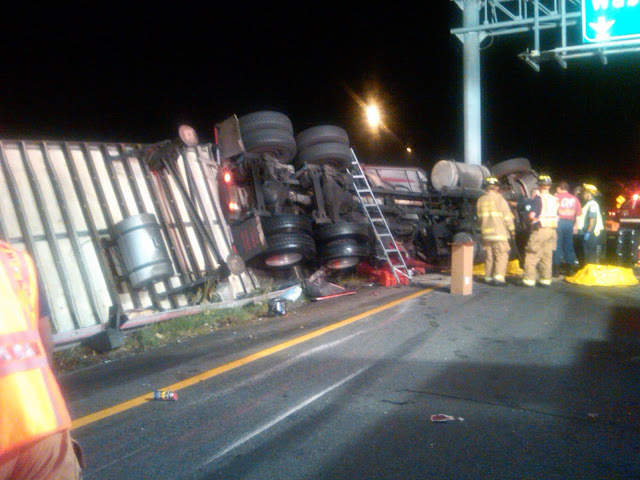 There were two occupants from the truck that were evaluated by paramedics, however, declined to go to the hospital. Assisting the Prince George’s County Fire/EMS Department were units from Alexandria and Fairfax. The overturned tractor-trailer remained on the ramp throughout the morning rush hour and was scheduled for removal by mid-day. The Maryland State Police (Forestville) is investigating the crash. The Prince George's County Fire/Emergency Medical Services Department is an "all-hazards" agency. Typically, our Department will respond and mitigate whatever may be happening; anywhere, anytime. So it was when a citizen reported to Firefighter/Medics at the Clinton Fire/EMS Station 825 early this morning that a life was in peril at the intersection of Piscataway Road and Woodyard Road, fire/EMS personnel were quick to spring into action. 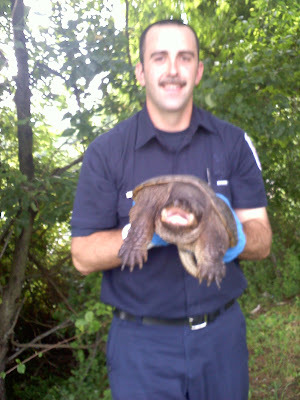 Personnel did indeed find a hazard that not only endangered a life but also was creating a traffic hazard from the motorists trying to maneuver around the large senior snapping turtle that was wandering around the intersection. Firefighters Ryan Ferriter and Wesley Auld, taking all safety precautions into account, carefully scooped up the turtle, successfully removing the hazard and returned him to a wooded area near the intersection. All in a days work. Congratulations to Captain Poole and crew on this successful endeavor. All light-hearted comments aside; compassionate and fast actions of this type serve to support the high approval rating our citizens and residents have of our Fire/EMS Department. Keep up the good work!!! Now I'm off to call OPRAH and the TODAY SHOW!!! intersection and returned to the wild.